This legal notice regulates the use of the website www.lesielle.com, owned by Lesielle Cosmetics SL.Navigation through the website attributes the status of user of the same and implies full and unreserved acceptance of each and every one of the provisions included in this Legal Notice, which may be modified. The user undertakes to make proper use of the website in accordance with the law, good faith, public order, traffic uses and this Legal Notice. The user shall be liable to Lesielle Cosmetics SL or third parties for any damages that may be caused as a result of the breach of that obligation. a) Disseminate content, criminal, violent, pornographic, racist, xenophobic, offensive, advocacy of terrorism or, in general, contrary to law or public order. b) Introduce computer viruses in the network or perform actions liable to alter, spoil, interrupt or generate errors or damage to electronic documents, data or physical and logical systems of Lesielle Cosmetics SL or third parties, as well as hinder the access of other users to the website and its services through the massive consumption of computer resources through which Lesielle Cosmetics SL provides its services. c) Attempt to access the email accounts of other users or restricted areas of the computer systems of Lesielle Cosmetics SL or third parties and, where appropriate, extract information. d) Violate intellectual or industrial property rights, as well as violate the confidentiality of the information of Lesielle Cosmetics SL or third parties. f) Reproduce, copy, distribute, make available or in any other way publicly communicate, transform or modify the contents, unless you have the permission of the owner of the corresponding rights or it is legally permitted. g) Collect data for advertising purposes and send advertising of any kind and communications for sales purposes or other commercial nature without their prior request or consent. All the contents of the website, such as text, photographs, graphics, images, icons, technology, software, as well as its graphic design and source codes, constitute a work whose property belongs to Lesielle Cosmetics SL, without being understood as ceded to the user any of the rights of exploitation over them beyond what is strictly necessary for the proper use of the web. In short, users who access this website can view the contents and make, where appropriate, authorized private copies provided that the elements reproduced are not subsequently transferred to third parties, or installed on servers connected to networks, or are the object of any kind of exploitation. Also, all trademarks, trade names or logos of any kind that appear on the website are the property of Lesielle Cosmetics SL, without it being understood that the use or access to it gives the user any rights over them. The distribution, modification, transfer or public communication of the contents and any other act that has not been expressly authorized by the owner of the exploitation rights are prohibited. The establishment of a hyperlink does not imply in any case the existence of relations between Lesielle Cosmetics SL and the owner of the website in which it is established, nor the acceptance and approval by Lesielle Cosmetics SL of its content or services. Those who intend to establish a hyperlink previously must request written permission from Lesielle Cosmetics. Those who intend to establish a hyperlink must request prior written permission from Lesielle Cosmetics SL. In any case, the hyperlink will only allow access to the home-page or home page of our website, also must refrain from making false, inaccurate or incorrect statements or indications about Lesielle Cosmetics SL, or include illegal content, contrary to good customs and public order. 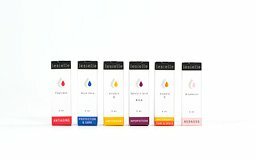 Lesielle Cosmetics SL is not responsible for the use that each user gives to the materials made available on this website or the actions you make based on them. The content of this website is of a general nature and has a merely informative purpose, without fully guaranteeing access to all content, or its completeness, correctness, validity or timeliness, or its suitability or usefulness for a specific purpose. a) The impossibility of access to the website or the lack of veracity, accuracy, completeness and / or timeliness of the contents, as well as the existence of vices and defects of all kinds of content transmitted, disseminated, stored, made available to those who have accessed through the website or services offered. c) Non-compliance with laws, good faith, public order, uses of traffic and this legal notice as a consequence of incorrect use of the website. 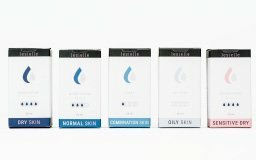 In particular, and by way of example, Lesielle Cosmetics SL is not responsible for the actions of third parties that violate intellectual property rights and industrial, business secrets, rights to honor, personal and family privacy and self-image, as well as rules on unfair competition and illegal advertising. Also, Lesielle Cosmetics SL disclaims any responsibility for information found outside this website and is not directly managed by our webmaster. The function of the links that appear on this website is exclusively to inform the user about the existence of other sources capable of expanding the content offered by this website. Lesielle Cosmetics SL does not guarantee or take responsibility for the operation or accessibility of linked sites, nor suggests, invites or recommends a visit to them, so it will not be responsible for the result obtained. Lesielle Cosmetics SL is not responsible for the establishment of hyperlinks by third parties. When we need to obtain information from you, we will always ask you to provide it voluntarily and expressly. The data collected through data collection forms on the website or other means will be incorporated into a personal data file duly registered in the General Data Protection Register of the Spanish Agency for Data Protection, which is responsible Lesielle Cosmetics SL. This entity will treat the data confidentially and exclusively with the purpose of offering the requested services, with all legal guarantees and security imposed by Law 15/1999 of 13 December on the Protection of Personal Data, Royal Decree 1720/2007 of 21 December and Law 34/2002 of 11 July on Information Society Services and Electronic Commerce. Lesielle Cosmetics SL undertakes not to transfer, sell or share the data with third parties without your express approval. Also, Lesielle Cosmetics SL cancel or rectify the data when they are inaccurate, incomplete or no longer necessary or relevant for its purpose, in accordance with the provisions of Law 15/1999 of 13 December on the Protection of Personal Data. 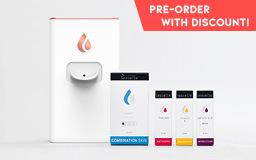 The user may revoke the consent given and exercise the rights of access, rectification, cancellation and opposition by going to that effect to the registered office of Lesielle Cosmetics SL, duly identified and indicating in a visible way the specific right that is exercised. Lesielle Cosmetics SL adopts the corresponding security levels required by Law 15/1999 and other applicable regulations. However, it assumes no liability for damages arising from alterations that third parties may cause in computer systems, electronic documents or files of the user. 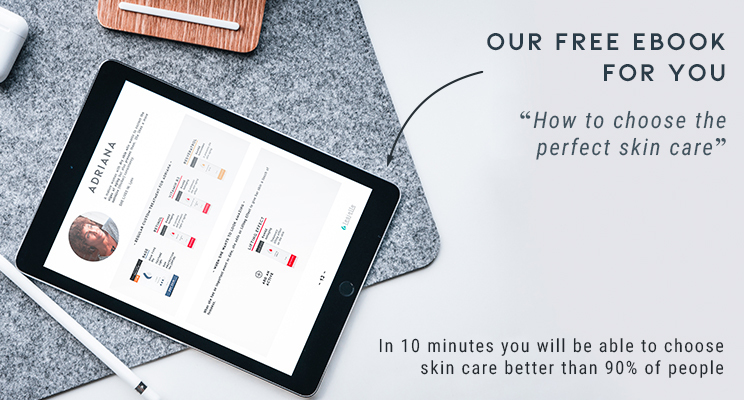 If you choose to leave our website through links to websites not belonging to our entity, Lesielle Cosmetics SL will not be responsible for the privacy policies of those websites or the cookies they may store on the user's computer. This website uses Google Analytics, a web analytics service provided by Google, Inc. a Delaware company whose principal office is at 1600 Amphitheatre Parkway, Mountain View (California), CA 94043, United States ("Google"). Google Analytics uses "cookies," which are text files placed on your computer, to help the website analyze how users use the website. The information generated by the cookie about your use of the website (including your IP address) will be directly transmitted to and stored by Google on servers in the United States. Google will use this information on our behalf for the purpose of tracking your use of the website, compiling reports on website activity and providing other services relating to website activity and internet usage. For technical reasons and in order to ensure the provision of a quality service, our newsletter server is located in the MailChimp and Active Campaign datacenters (both in the U.S.), and is maintained and managed by the MailChimp and Active Campaign technical team (U.S.), which act as data processors in the collection and storage of your data, in accordance with the provisions of law. If you prefer not to receive these messages by email we will offer you through them the possibility of exercising your right of cancellation and waiver of receipt of these messages, in accordance with the provisions of Title III, Article 22 of Law 34/2002 on Services for the Information Society and Electronic Commerce. In the event that any user or third party considers that there are facts or circumstances that reveal the unlawful nature of the use of any content and / or the performance of any activity in the web pages included or accessible through the website, must send a notification to Lesielle Cosmetics SL properly identified, specifies the alleged violations and expressly stating under its responsibility that the information provided in the notification is accurate. For all litigious matters concerning the website of Lesielle Cosmetics SL, shall apply Spanish law, being competent the Courts and Tribunals of Spain. The administrative information provided through the website does not replace the legal publicity of laws, regulations, plans, general provisions and acts that have to be formally published in the official journals of public administrations, which are the only instrument that attests to their authenticity and content. The information available on this website should be understood as a guide with no purpose of legal validity.